Australian production of table grapes in 2018/19 is expected to be higher due to more favorable seasonal conditions, higher yields and more harvested area. This increase in production will lead to an increase in exports. According to a recent GAIN-FAS-USDA report, table grape production in Australia is expected to reach 200 000 tonnes for the 2018-19 season, up almost 18% from the previous year. The area harvested is expected to reach 12,000 hectares, an increase of 9% over the previous season. With this projected production up, Australia will boost exports. Exports that have more than doubled in the last 5 years. The table grapes sector has become one of the largest exporters of fresh Australian fruit. For 2018-19 exports are expected to reach 137 000 tonnes (110 000 tonnes for 2017-18). Last year China was the main export destination with 41,000 tons, followed by Indonesia with 16,000 tons. 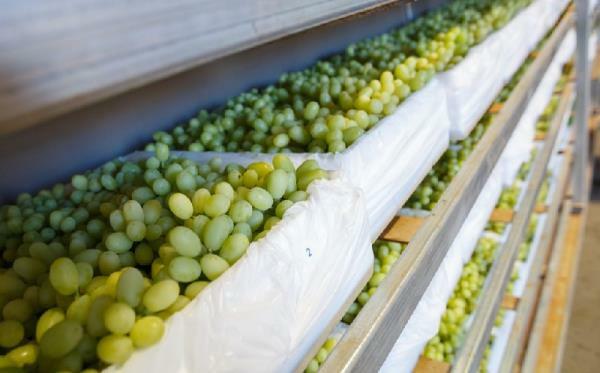 Australia is now the world's 10th largest exporter of table grapes and is expected to further increase production and exports as it expands its harvesting areas (Photo: australiangrapes.com).